Measuring 6.802 metres from the back tees, and with more than 100 bunkers, Finca Cortesin is ranked as being one of Spain’s best golf courses by the prestigious Golf Digest Magazine. The harmonious relationship between the natutal Mediterranean landscape and environment, make for a most attractice design.The excellent weather we enjoy all year round makes the perfect setting for playing golf. 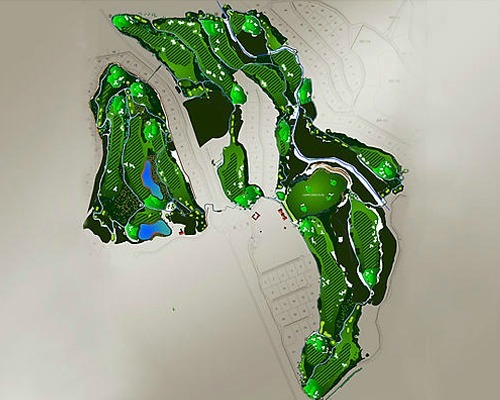 Cabell B. Robinson’s course design and Gerald Huggan’s landscaping design capture the natural characteristic of the area where the course has been constructed. All of it together adds to a perfect balance between 20 varieties of flora, the typical Mediterranean forest and the perfectly manicured bermuda grass on the course. A demanding par 72, and the 6.802 metres (7.482 yards) in length, make the course a perfect venue to celebrate tournaments at all levels. Finca Cortesin has been host of the Volvo World Match Play Championship for 3 years, one of the world’s most prestigious golf tournaments at a professional level. With a choice of 5 different tee positions, the course is appealing to all levels; 5.884 metres for men and 4.840 metres for ladies, including an “executive gold tee” with 5.215 metres that will make the course very enjoyable for the higher handicaps and seniors. 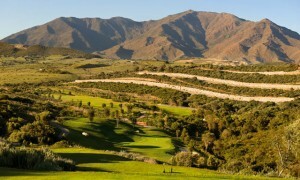 The excellent maintenance of the fairways and greens, and attention to every little detail, will make a round of golf at Finca Cortesin a challengin test of your ability whilst all the time surrounded by an aesthetically exceptional natural and unique environment.